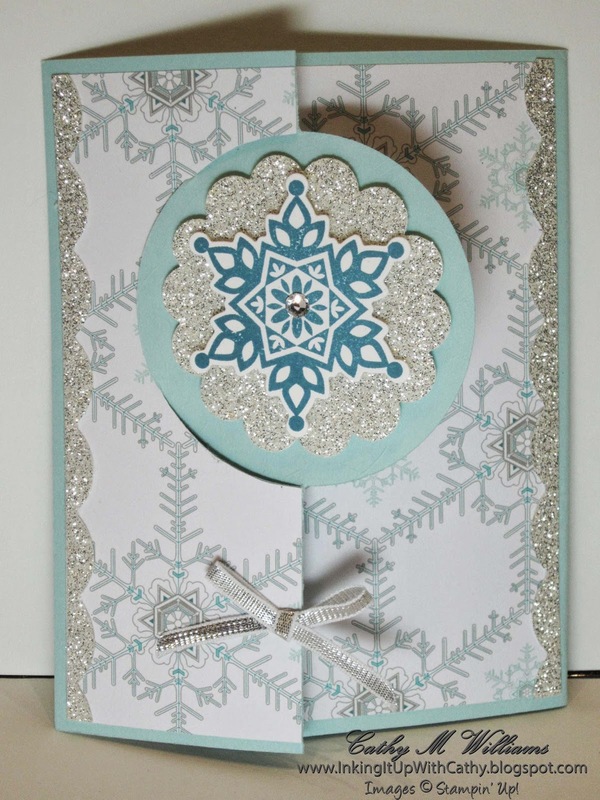 Here is the final card from the Christmas card class last fall. I loved being able to make a flip card for Christmas. I also pulled out the Illuminate Glimmer Watermark Stampin' Pad which I had purchased when it first came out but I had never used it. I love it! I cannot believe it sat for almost a year before I began using it. This year I used it so much that I had to order the refill because we had used up all of the ink. 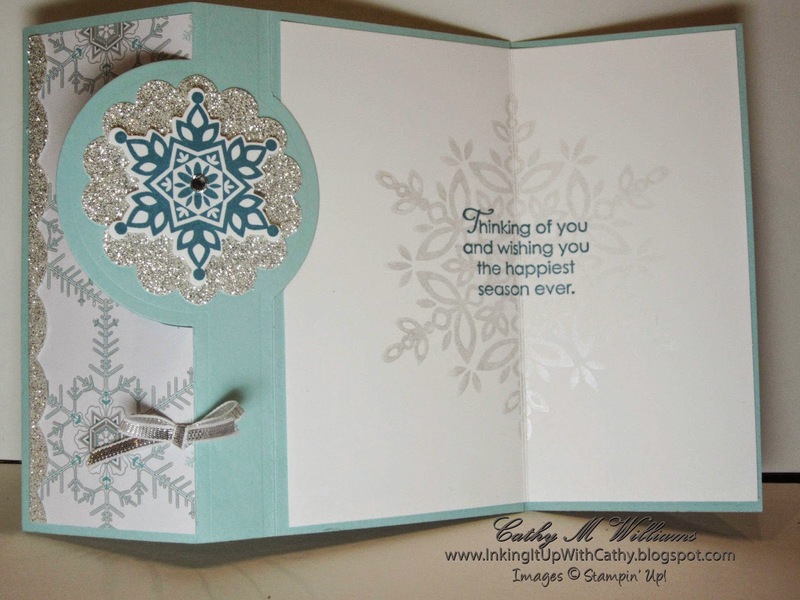 You can see a faint snowflake in the center of the sentiment on the inside of the card - this is what was done in the Illuminate ink. Here is the card closed up so you see the front of it. This is a beautiful card. Your color choices are very pretty, and I think you used just the right amount of glitz. Black & White - and a Splash of Color! By The Tide - One of My Favorites!! !